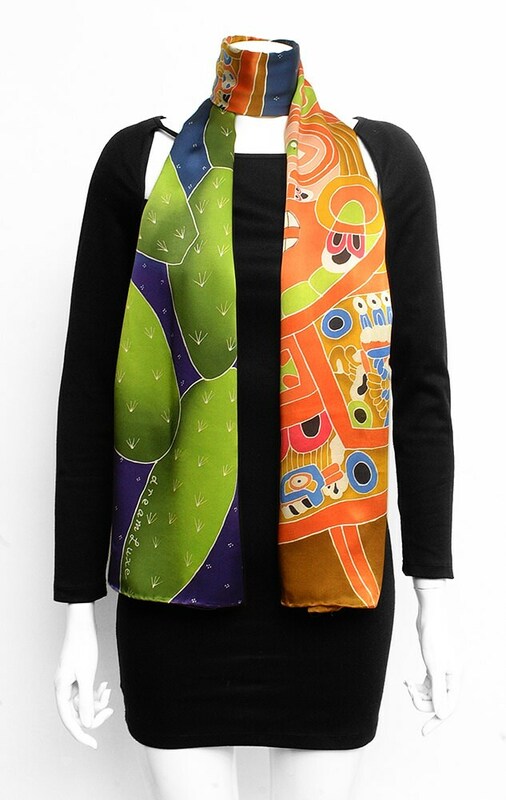 Wrap yourself in a unique batik handmade silk scarf, This scarf has two images on each end. One end it has a beautiful Aztec calendar. It has been called a sacred calendar because its main purpose is that of a divinatory tool. It divides the days and rituals between the gods. For the Aztec mind this is extremely important. The other end has an image of the Cactus (nopal) which is a very important symbol to the Aztecs and the Mexicans. 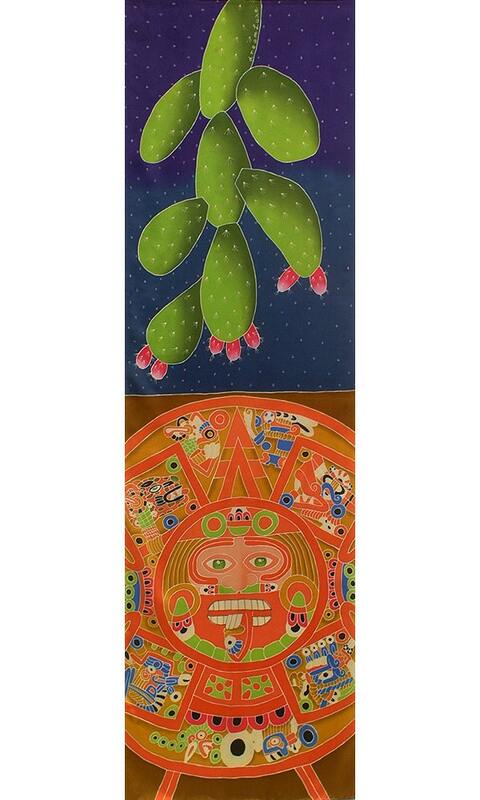 The Cactus is a representation of Tenoch who led the Aztec to Tenochititlan which is present day Mexico city. 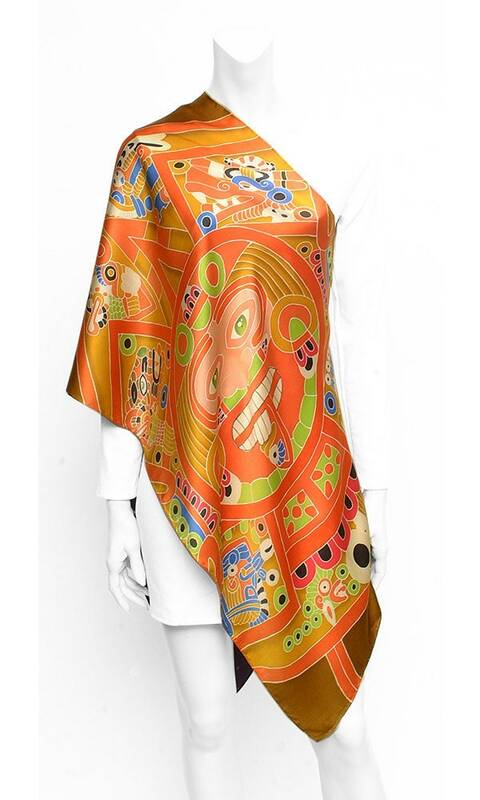 This one-of-a-kind silk scarf is painted Blue, green, gold, and orange. 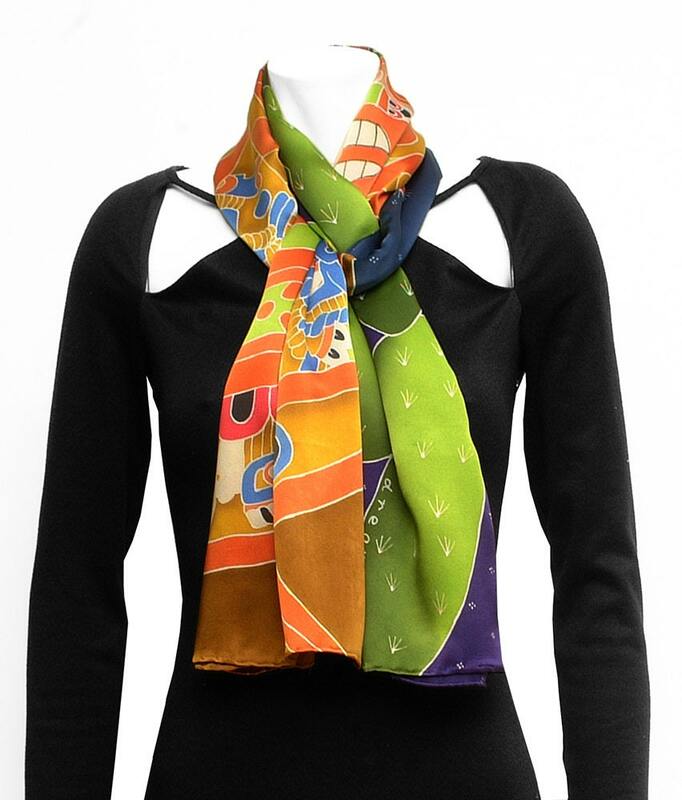 This scarf is painted with high quality dyes, which add to the brilliancy of the silk and colors.